Kyrgyzstan has become the first former Soviet country in Central Asia to have a female head of state. Roza Otunbaeva, who was the interim leader, has been sworn in as president of the troubled republic. Her inauguration comes after the country voted to adopt a new constitution in last week's referendum. 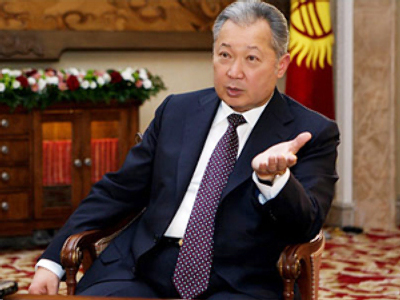 The result means Kyrgyzstan will be the region's first parliamentary democracy. Otunbaeva is to hold the top seat for the transition period, which will continue until the end of next year. She headed the interim government after an uprising in April in which then-President Kurmanbek Bakiyev was ousted. The country has since seen a violent flare-up of ethnic tension between the Uzbek and Kyrgyz populations in the south. Some estimates put the numbers killed in the thousands, while close to a hundred thousand have been displaced from their homes.